Founded in 1999, DVAuction is the oldest and most respected livestock internet marketing service. Specializing in the real-time internet broadcasting of sales and special events, DVAuction provides a unique online viewing experience that is free to the public. Interested in watching our events live as they happen? Just complete our free and easy registration process and you can watch and listen today! If you are interested in bidding at one of our events, simply complete our quick and easy bidder approval process. DVAuction staff will contact you once you have been approved, and you can begin bidding at any of our auctions just as if you were ringside! We offer our customers products and services unmatched by our competitors. Our track record proves real-time live auction broadcasts are a successful and viable marketing tool for anyone marketing products via a live auction. DVAuction.com is utilized by many unique visitors every month. Our database of registered viewers and approved online buyers continues to grow daily. During the last few years, DVAuction has received countless internet bids, resulting in the sale of many lots to online internet bidders. In addition to purebred specialty sales, we also broadcast weekly sales from auction markets, providing up-to-date access to current livestock market reports. Specialty sales include beef cattle, horse, boer goat, lamb, land and many other types of auctions. All auctions are broadcast with live video, live audio, and secure bidding and messaging features. 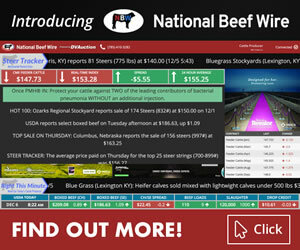 Internet bidding represents one of the fastest growing promotional tools available to the livestock industry. DVAuction currently maintains a large active user base that buy livestock through our service every day. A great many viewers watch each sale, providing a powerful marketing tool for your breeding program. Market worldwide through DVAuction!